DO I RESERVE MY SPOT IN A CLASS? It is always ideal to reserve your spot in a class. The more popular a class time is the more likely you won’t have a spot in the class unless you do reserve one. You can reserve your spot for a class on the app ahead of time. If you arrive at the gym without a class reservation you can sign-up on standby with the front desk. Reserving a spot ensures plenty of room for participants, but it also allows us to know if special arrangements need to be made to accommodate members on standby. With enough notice we can add additional class options. ARE THERE ANY SPECIAL RULES OR ETIQUETTE I SHOULD FOLLOW? In addition to providing an effective workout we also want to provide a safe workout environment for everyone. We like our workouts to be tough, but we also like to have fun. To ensure this is the case for all, we do have a few guidelines for participants. Please don’t use your phone during class. Answering phone calls or texts during class is not only taking away from your workout, it takes away from others. Please do not listen to your own music. Keep talking limited to encouragement and cheering for others. To keep our gym and all the equipment clean, please wipe down your equipment and put everything away after class. 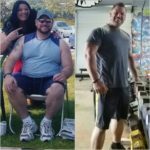 Please follow the workout the instructor is doing, versus doing your own workout in class. Doing other exercises can be distracting or confusing for other in the class. embers. But please always feel comfortable modifying an exercise or substituting another exercise if necessary. Your instructor is happy to show you modifications for injuries, etc. Please arrive on time by being 5 minutes early for each class to sign in and set up. Anyone who is not at the gym before a class starts risks the chance of losing their reservation in the class. Only check in for a class on the app if you are at the gym ready to enter the class. Let the instructor know in advance if you need to leave early so and special arrangements can be made to reduce any confusion. Most importantly, bring a great attitude and have a great time. 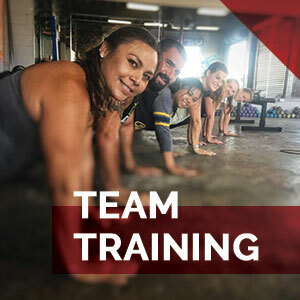 Training in a group is an amazing way to get in shape and make friends and have fun. If you’re not having a great time, please let your instructor know! Working out is always more fun with a friend. We would love for you to bring a friend and we will offer you a promotional pass to bring that friend for free. We can offer you something for them to redeem or you can can provide you a unique link to share with them. We will have your friend create an account in order to book their first class with us. After they’ve created an account, they can book the class right away. We do ask that they first meet with one of our Fitness Coaches so they will have the best possible experience. 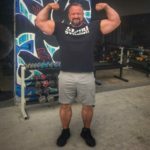 HOW OFTEN SHOULD I ATTEND WORKOUTS AT GRINDER GYM? For most healthy adults the goal should be to do some form of exercise each day. Even a rest day can be a light activity day with a focus on regeneration. 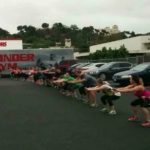 Most of the Large Group Class workouts at Grinder Gym are made up of some form of aerobic conditioning (cardiovascular training) and anaerobic training (strength training). Most fitness and health organizations agree that you should have a blend of moderate and vigorous aerobic activity over the week. Most would suggest that you spread out this exercise during the course of a week varying intensity levels from day to day. The standard recommendations for anaerobic training suggests that two or more times a week will be satisfactory as long as you are performing resistance exercises for all major muscle groups. 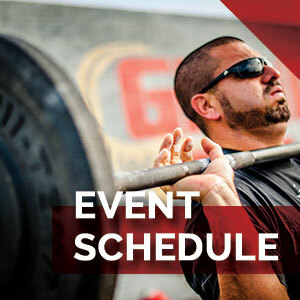 Our resistance training for the large group exercise will be performed for a specific time or prescribed reps. The aim in these classes is to have an exercise performed for roughly 8 to 15 repetitions. The reps and sets are constantly varied. 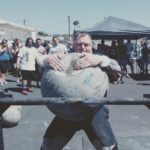 The weight used is always something you can control safely, but heavy enough to tire your muscles with the targeted repetitions. The programming for these Large Group Classes is based on the goal of having our members attend 5 to 6 days per week. DO I NEED PRIOR EXERCISE EXPERIENCE TO JOIN A CLASS? 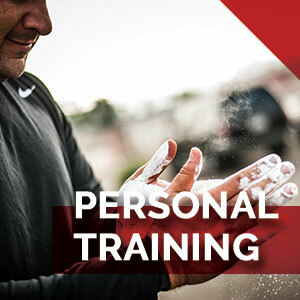 If you are brand new to exercise we ask that you first meet with one of our Fitness Coaches to review your fitness goals and perhaps do a fitness assessment. If you are not new to exercise and only new to Grinder Gym, consider arriving early to introduce yourself to the instructor. Please let the instructor know you are new and make them aware of any injuries or movement limitations, so they may offer you modifications as needed. After your first class please also check in with the instructor after class for any feedback or to ask them any questions about the movements you performed in class. If the instructor is going right into another class they may wish to contact you later for a follow up. 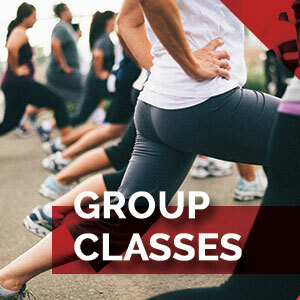 For most large group classes you will have a blend of cardio and strength training. We are performing exercise indoors and outdoors. On the colder days it is a good idea to have layers you can peel off for your comfort. On warmer days it is best to wear breathable material. A t-shirt or a tank top are ideal. Shorts and pants, leggings or capris made of breathable material are good. A standard athletic shoes or cross trainer is good. Running shoes are not recommended as most of our runs are under 400 meters at a time. However, you might want to have running shoes available to take part in any group runs before or after the workout. For Mobility or Mind/Body classes you’ll want to avoid loose fit clothing as it will interfere with movement. Form fitted breathable material is best. HOW DO I KNOW WHAT CLASSES ARE AVAILABLE TO ME? If you can book the classes using the app that class is part of your membership. Some classes you get access to might only be part of a promotional period. If you are not sure the best thing is to check with the front desk or contact us online.